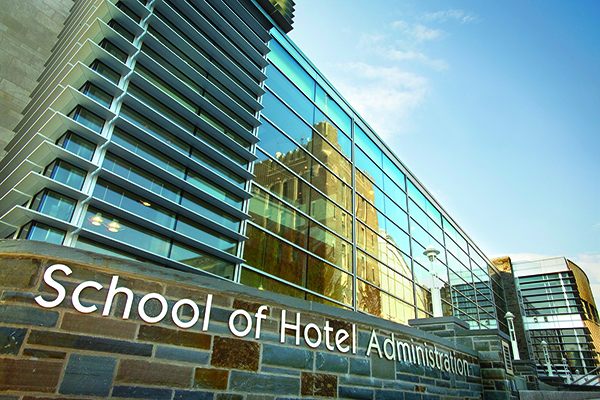 Participants from around the world have found that the Cornell University School of Hotel Administration delivers the most sophisticated executive education courses to the hospitality industry. From line-level managers to senior executives, the Professional Development Program (PDP) at Cornell is certain to provide hospitality professionals with the lifelong learning opportunities necessary to advance business and personal success. PDP is a series of three-day courses offered in the summer on the stunning Cornell University campus in Ithaca, New York (US). Certifications and courses are geared toward seasoned hospitality professionals who boast current experience in the hospitality industry or a related field. For those interested in maximizing their Cornell experience for business and personal success, certifications are awarded for the successful completion of a series of PDP courses. Some certifications include: Strategic Management, Hospitality Marketing, Revenue Management, and Strategic Human Resources Management. You can see all your course and certification options here and take a look at the 2018 schedule. Prepare yourself for greater on-the-job responsibilities: Professionals who receive a PDP Certification are aware that the hospitality industry is in a constant state of change. They possess the tools needed to anticipate and respond to such change. Establish professional credentials: Since it recognizes your individual accomplishments and professional development, a PDP Certification makes a great addition to your resume, serving as an impartial, third-party endorsement of your knowledge and experience. Improve your opportunity for career advancement: A PDP Certification from Cornell’s Hotel School gives you an “edge” when being considered for a promotion or other career opportunities. Discover great networking opportunities: PDP attracts dedicated hospitality professionals from every corner of the world who can help you grow your network in the industry as well as your knowledge base. Demonstrate your commitment to your profession: Earning your PDP Certification showcases—to your peers, supervisors, and industry influencers—your commitment to the hospitality industry as well as your ability to perform to set standards. Enhance your profession’s image: The PDP program seeks to grow, promote, and develop professionals who can stand “out in front” as examples of excellence in the hospitality industry. Learn from world-class faculty: The Hotel School has a world-renowned faculty who are at the top of their fields. Browse the 2018 PDP schedule to learn more about the faculty you’ll meet. Build self-confidence: With a PDP Certification, you define yourself beyond a job title while gaining a sense of personal satisfaction. IT’S FUN! Meeting new people is always beneficial for your career, but it’s even better when you’re making meaningful connections. You’ll get to know your classmates as you spend time together both inside and outside the classroom. We hope you’ll consider joining us in Ithaca in summer 2018!